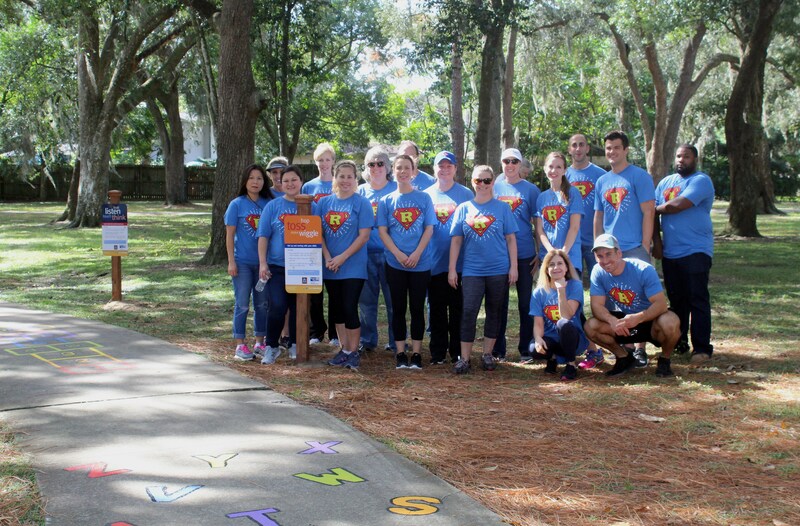 In partnership with our friends at United Way and sponsored by Aldi, a group of Regency team members recently helped install Born Learning Trails in Jacksonville’s Forestry Tower Park and Crystal Springs Park. As part of the United Way Born Learning Trails initiative, the installment included 10 interactive school-readiness childhood development games including engaging instructional signage marking an interactive learning adventure through some of our favorite local parks. Fifteen volunteers and close to 30 hours of labor later, the Born Leading Trail installations created unique opportunities for United Way corporate and leadership donors, like Regency Centers, to actively engage and volunteer to create positive, tangible change alongside other dedicated members in our community. We look forward to future volunteer opportunities to come! Learn more about the United Way’s Born Leading Trails here.